Who: Four-time Academy Award winner for Best Actress. Freckled Yankee bisexual firebrand who refused to suffer fools gladly or otherwise. Star of one of my favorite movies, Bringing Up Baby. Signature Difficult Moves: Pretty much everything she did. At a time when every actress was required to wear a dress, stockings, and heels, to the studio in the morning, Hepburn showed up in trousers. Spoke her mind on the set, earned the name Katharine of Arrogance for refusing to cooperate with the Hollywood publicity machine, intensely private. What People Said About Her: “She looks like a boa constrictor on a fast.” — producer David O. Selznick and Hepburn’s first employer, who seriously misjudged her appeal. Personals: Married once, but openly prioritized her career. Made a conscious choice to not have children. Clandestine, twenty-six year affair with Spencer Tracy. How She Spoke Truth To Power: After a series of flops Hepburn was labeled “box office poison” and her film offers dried up. 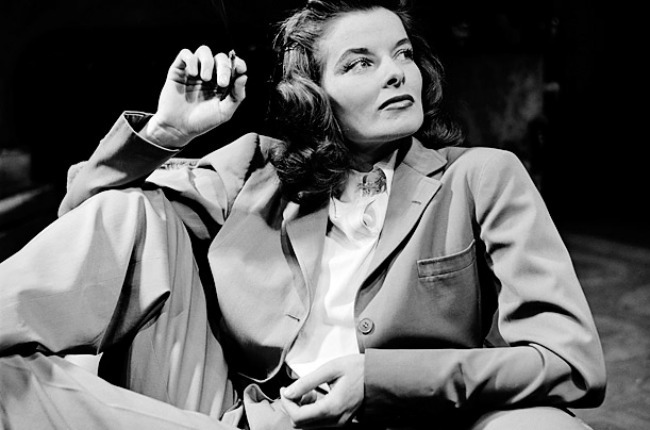 Instead, she took the title role of a Broadway play, The Philadelphia Story and bought the film rights. When the play was a hit and Hollywood came calling, she only agreed to a movie adaptation if she could reprise her starring role and thus engineered her own comeback. Quote to Live By: If you obey all the rules, you miss all the fun.